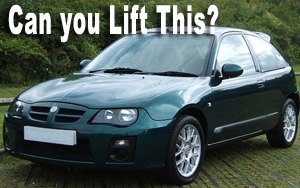 If someone asked you if you could lift a car, more than likely, you would readily say no. And if you walked outside right now and attempted to do so, chances are, you wouldn't be able to. But what about when a dire situation necessitates it? You might be surprised by the strength you truly possess. I read an interesting story that illustrates my point. Nearly three years ago, 23 year old Kyla Smith was driving her MG ZR hatchback near Washington when it veered off the road and hit a tree. Her friend Jonathon's leg was pinned. "I lost control of the car, it hit a pile of bricks, which hit the steering arm and made wheels head for a tree," Kyla said. "We hit the tree and the car came down on the passenger side. At this point Jonathon's leg was outside the car and it came down on his leg. I climbed out of the drivers window and saw that his leg was under the car, so I grabbed the sun roof visor, and lifted the car six or seven inches to get it out... I just knew I had to get him free and there was no-one else around at the time." 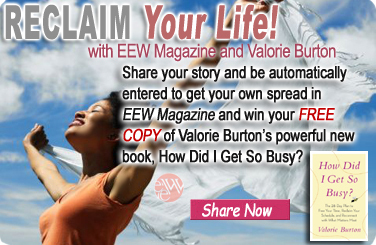 To read the full story click here. Do you realize that each of us is stronger than we might imagine? But if a demand is never placed on our strength, we would never get to see what's lying dormant inside of us. Of course I'm not advising that you practice lifting vehicles; I'm not even suggesting that you would be able to react the way Kyla did given a similar set of circumstances. My point is this. Some struggles cause us to dig deep and tap into a reservoir of power that we didn't know we had. Could this be what God is doing in you? Could he be testing you just so you can see who you truly are? Perhaps God is challenging you in order to bring out the best in you. Ben Johnson said, "He knows not his own strength that hath not met adversity." Although challenging situations don't feel good, you will never tap into your power if your strength is never called upon. Right now, as you endure your storm, God is nudging you and tugging you out of your comfort zone. There's a stronger person living inside of you. There's a bolder woman or man who exists underneath the surface of your fear and passivity. Even though you might feel like you're at your breaking point, whatever situation you may be facing won't break you. As long as you don't buckle under the pressure, you'll emerge stronger and better than you ever thought possible! God has so much more for you than what you see right now... tap into your power!